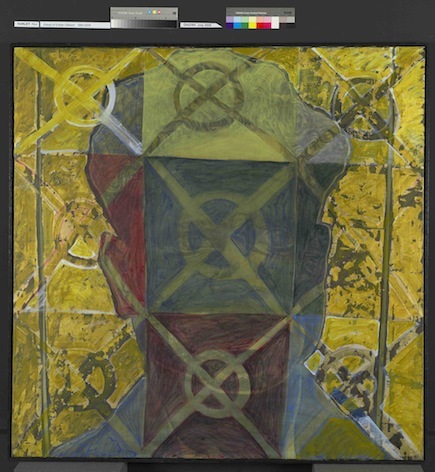 Title: Head of Eddie Gilbert, 1990. Media: Oil and Mixed Media on Canvas. Size: 140 x 120 cm. 1991 Stop Play Dreaming. The Legend of Eddie Gilbert, Moree Plains Gallery, Moree, NSW.